Ann McCabe, appointed to the Illinois Commerce Commission in March 2012, focuses on retail electric choice, the utility - regulatory model, grid modernization, nuclear waste and cyber security issues. She chairs the NARUC Nuclear Issues Subcommittee, and is vice president of the Mid-America Regulatory Conference, past president of the Organization of PJM States, OPSI, and a member of the NARUC Energy Resources and the Environment and Critical Infrastructure Committees. Previously, as a principal of two consulting firms, Ann did policy analysis and advocacy on energy and environmental issues for trade associations, corporations, and environmental non-profits. She managed environmental and fuels regulatory issues at Amoco and BP. Earlier in her career, she was an assistant to ICC commissioners. Ann holds an M.A. in public policy from the University of Chicago, and a B.A. in political science from Williams College. Orijit Ghoshal, Commissioner McCabe's legal and policy advisor, is an attorney who practiced as an Assistant Corporation Counsel with the City of Chicago on energy and utilities matters and an Attorney and Policy Analyst with the Citizens Utility Board. Bill Peters, policy advisor to Commissioner McCabe, has a master's degree in economics from Illinois State University and has worked on utility regulation since 2001 in Missouri, Vermont, Hawaii and Illinois. Since the annual formula rate process to set electric delivery charges began in 2012, rate cases are shorter (eight or nine months, versus an average of 11.5 months), occur on a set yearly schedule, and are more routine than traditional rate cases. Weeks of cross-examination can now take less than half a day, many commonly litigated issues have been resolved, and utility spending on outside counsel has fallen. Commonwealth Edison, ComEd, and Ameren Illinois, Ameren, have installed more than two million advanced meters, almost half their goal. Fewer truck rolls and fewer shorter outages have followed grid investments such as distributed automation. "the full potential range of benefits that such technologies could provide has yet to be realized, particularly around customer education and empowerment." Gridwise ranks Illinois second among states in grid modernization, below California and above Texas. Questions do remain about how to enable and incentivize customer adoption of dynamic pricing and other products that will help manage energy consumption and bills. The nature of the electric industry is changing: technology, customer expectations, and distributed energy resources are transforming the nature of the grid and its offerings. Illinois stakeholders have ideas on next steps, hence the introduction of several pieces of legislation that address the state's Renewable Portfolio Standard, Energy Efficiency Portfolio Standard, rate design, ownership of microgrids, and the procurement of certain types of generation sources. The Illinois Commerce Commission, the Commission or ICC, is also considering a stakeholder process on the future of electricity regulation in Illinois. Setting the rates a utility charges its customers can be one of the most time-consuming jobs for a state public utility commission. The formula rates cases prescribed by the Energy Infrastructure Modernization Act, EIMA, have made this process more routine at the ICC. Since the annual formula rate process began in 2012, ComEd and Ameren rate cases are shorter, occur on a set yearly schedule, and are resolved with relatively fewer disputes among the parties. The first formula rate cases established the treatment of many operating and maintenance expenses. EIMA prescribes regulatory treatment of many issues previously subject to dispute between parties in a traditional rate case, such as rate of return, future test year, and forecasted plant additions and related depreciation. A few years ago, Commission staff and the two utilities agreed on capital structure, further reducing items of contention. "rewards utilities ... with a quicker return on their investment in the shape of new customer power ... delivery charges reset annually." EIMA required ComEd and Ameren to report that "the average annual increase" in the "average amount paid for electric service" was less than or equal to 2.5 percent on July 31, 2014. The "average amount paid for electric service" included amounts paid for supply, transmission, distribution, surcharges, and add-on taxes. Although short term total bill limits in EIMA were met by the companies, revenue increases have continued thereafter. Table 1 shows the electric distribution revenue increases or decreases granted in the first five years of formula rates, compared to each utility's last traditional rate case and compared to inflation. As shown, both utilities' revenue requirements have increased past an average 2.5 percent per year, and have outpaced inflation by multiple factors. Whether those increases are justified by resulting benefits remains to be seen. The revenue increases authorized by EIMA are intended, in part, to fund the grid-hardening and grid-smartening upgrades that enable power to be easily re-routed, so fewer customers experience outages. Circuits historically prone to storm-related damage in ComEd territory (due to high winds, thunderstorms, and ice storms) are targeted with undergrounding, installation of tree-resistant conductors, and additional vegetation management. In Ameren's territory, authorized upgrades include replacement of distribution reclosers, substation improvements, pole reinforcements, and undergrounding. 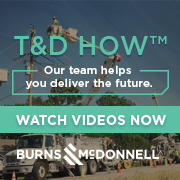 All these upgrades allow ComEd and Ameren to better identify the source of problems, reducing truck rolls and employee time needed to diagnose and repair equipment in the field. After installing grid automation and more intelligent sensors, the utilities have reported improvements in outage frequency and duration. Both ComEd and Ameren have met or exceeded applicable performance goals on outage frequency and duration. "[o]ur smart grid work has helped to deliver the best power reliability on record for our customers for the last three years - ranking us in the top 10 percent of utilities nationally and leading our region to economic prowess in the digital economy." "[s]ince 2012 ... reliability has improved by an average of 17 percent, saving Ameren Illinois customers an estimated $48 million a year." EIMA authorized ComEd to deploy smart meters to a hundred percent of its customers and Ameren to 62 percent. By the end of 2015, smart meters have been deployed to approximately 44 percent of ComEd customers, 1.8 million, and 17 percent of Ameren customers, 208.5 thousand. In June 2014, to deliver customer benefits sooner, the Commission approved ComEd's request to accelerate smart meter deployment, from ten years down to seven. ComEd expects to have over 2.8 million smart meters installed by the end of 2016, and expects to complete all four million installations at some point in 2018. After studying the costs and benefits of deploying AMI to all of its customers, Ameren intends to accelerate its existing deployment schedule and, pending approval, deploy AMI to a hundred percent of its customers. Table 2 shows smart meters deployed to-date and projected until 2018 and 2019. Upon approval of their AMI deployment plans, ComEd and Ameren implemented peak time dynamic price offers. Under ComEd's program called Peak Time Savings, customers who do not curtail their usage during curtailment periods are not penalized by program design (low risk, low reward), and all customers with smart meters are eligible, including those who choose to receive electricity supply from an alternative retail supplier. ComEd has successfully bid demand response and energy efficiency into wholesale capacity and energy markets, and obtained revenues. As of March 2016, ComEd has 130 thousand Peak Time Savings customers (approximately 6.5 percent of eligible customers), many of whom enroll soon after smart meter installation. ComEd's customers have offered and cleared the most demand response resources in the regional transmission market PJM. Ameren's Peak Time Rewards program has 10,455 customers (10.8 percent of those eligible) who represent 2.1 megawatts of capacity. Ameren bid that capacity into the MISO auction, and will credit customers based upon auction results, but no less than fifty cents per kilowatt-hour reduced. ComEd and Ameren have deployed over two million smart meters and strengthened the grid. But a frequent webinar topic and subject of studies and pilots is how to increase customer adoption of dynamic pricing and peak shifting programs, beyond pre-existing real-time pricing programs. Questions have been raised about the continuity of the revenue stream relied upon to fund peak time rebate programs, as regional organizations contemplate changes to the way their capacity markets recognize and reward resources. By approving pilots, whether for smart meters, peak time rewards, direct load control, smart devices or microgrids, regulators can help maximize the value of grid modernization to the customer. Additionally, customer adoption of third party software and hardware can help customers better manage consumption and spending. Home energy management technology, electric vehicles, and behavioral energy efficiency programs may increase benefits to customers with smart meters. The Gridwise Alliance identified expanded dynamic rate options, including time-of-use rates, as offerings that would improve Illinois' score on its Grid Modernization Index. Public utility commissions can help enable and maximize customer benefits from AMI, for example, by enabling customers to choose time-variant or dynamic pricing. The ICC has not required more dynamic pricing options, such as time-of-use rates, critical peak pricing, or other time-variant rates for electricity supply, preferring to allow the competitive market an adequate opportunity to develop. Some jurisdictions, like California and Massachusetts, will move to default time-of-use pricing with the ability to opt-out. Under EIMA, ComEd and Ameren must meet or exceed four reliability goals, four customer benefit goals and one diversity-related performance goal. At risk are basis point deductions on their return on equity, ROE. ComEd has twice failed to meet the 75 percent improvement in service reliability targets, in 2014 and in 2015. Both times its authorized ROE was reduced by five basis points. The latest reduction equaled about two million dollars, compared to ComEd's approximately 2.5 billion dollar annual revenue requirement. Relatively few instances of a utility failing to meet a performance goal raises questions about the appropriate difficulty of EIMA's performance goals. Goals thus far met may not be difficult enough. Those that haven't been met may be too difficult. Different goals may better align with the value customers seek from electricity delivery. The size of the penalties relative to the utilities' revenue requirements should also be assessed, as well as whether utilities should be rewarded for superior performance. Current Illinois law sets penalties for inadequate performance, but does not reward superior performance. Symmetrical incentives that offer financial penalties and rewards should be considered. The U.K. has had symmetrical performance-based incentives for a while. An appropriate system of reward should provide additional incentive for improved performance. As improvements become more difficult to achieve, data and tools enabled by the smart grid may provide pathways to further grid modernization efficiencies and customer benefits. With formula rates, Illinois is already on the alternative regulation path. A multi-year rate plan, MRP, is another component of performance-based regulation. An MRP typically establishes a multi-year schedule of rates using an index (i.e., inflation), and accounts for expected productivity improvements. An MRP rate schedule may also change revenues by a set percentage, called a stairstep. Plans can encourage long term performance and discourage imprudent expenses, by sharing cost savings and unexpectedly high costs between customers and the utility. Implementing an MRP in Illinois may allow customers to further benefit from the reduced administrative costs of litigating rate cases, while still allowing utilities the level and stability of revenues required to modernize their grid infrastructure. An MRP could also address any customer value lost due to the fact that planning and cost recovery are reviewed separately under EIMA. U.S. utilities with an indexed MRP include Boston Gas, Central Maine Power, San Diego Gas and Electric, Southern California Gas, and NSTAR. A stairstep is considered the most popular MRP design, nationally, and is currently used by utilities in Georgia, Colorado and New York. The Illinois legislature's formula for grid modernization has led to significant investment in and improvement of the grid. It has allowed certain technologies to be deployed faster than likely under traditional ratemaking. Future changes to Illinois' electric delivery regulatory paradigm, and formula rate proposals in other jurisdictions, should assess: (i) a rate cap's level, duration, and effectiveness, (ii) dynamic pricing or load management programs, (iii) the design and impact of performance goals, and (iv) the merits of multi-year rate plans. Given Illinois' progress on AMI deployment, the most pressing questions regarding grid modernization may be different than they would be in New York, Massachusetts, Minnesota or other states. Stay tuned to see if the next steps in Illinois are the result of legislation, regulation, a stakeholder process, or some combination thereof. 1. http://www.gridwise.org/, 3rd Annual Grid Modernization Index.